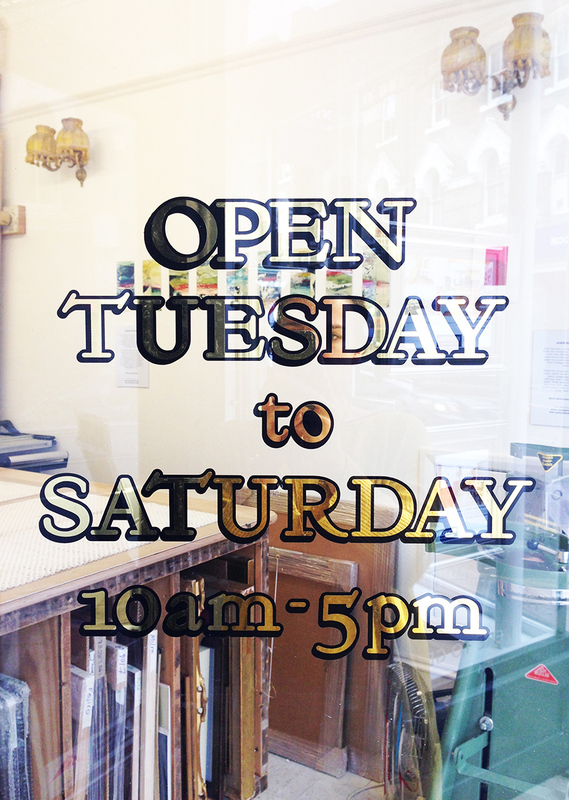 Over the past year I have been working with Stag & Bow and The Framing Salon, two unique businesses in South East London that are all about reviving craft based skills from a grass roots level. 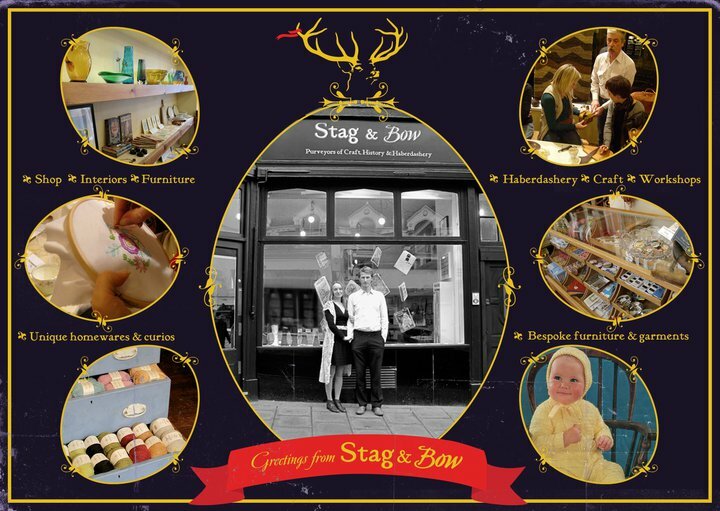 Pascale Spall and Cyrus Colquitt founded Stag & Bow nearly five years ago at 8 Dartmouth Rd in Forest Hill. It’s an emporium for haberdashery, beautiful vintage curios, and provides a platform for designer-makers to sell their original wares. But one of the most exciting elements of Stag & Bow is the program of workshops they run, where people can learn a vast gamut of primarily textile based skills from specialist teachers. 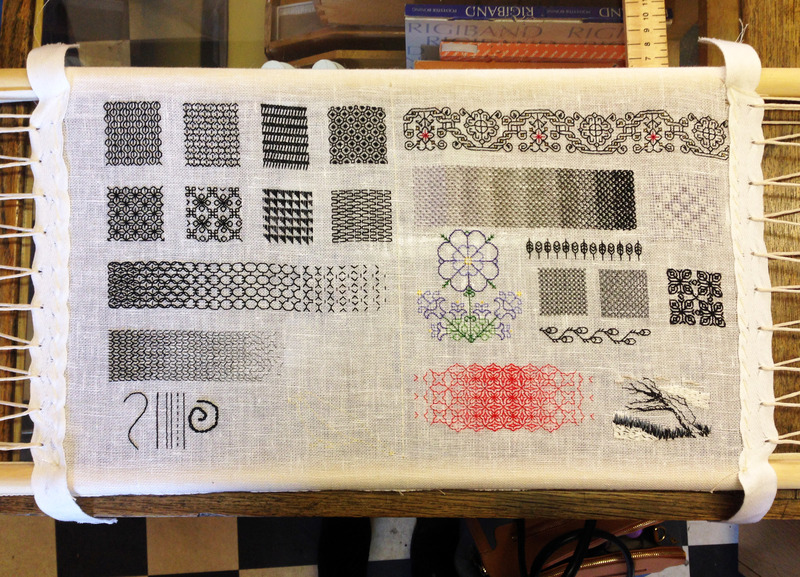 From incredibly intricate Blackwork embroidery favoured by Henry VIII’s Spanish queen, Catherine of Aragon, to bracelets made using ancient rope tying techniques – the workshops on offer appeal to those with zero craft based skills (here’s looking at me…) to others who regularly work on epic professional or personal textile projects. This combined with Stag & Bow’s regular Friday Night Socials and Craft Mornings (which are all free and anyone can just turn up to with something they’re working on) are simply about people getting together, and making things. From my experience as a foreigner living in the massive commercial juggernaut that is London, providing an open, welcoming space like this while projecting an idiosyncratic vision that celebrates skill and quality, is a very special thing indeed. The personal interaction and sharing of stories that these craft based activities engender has had a big impact on the lives of many individuals who frequent Stag & Bow, and has resulted in the community that has organically sprung up around it. Last year The Framing Salon opened next door to Stag & Bow at number 10 Dartmouth Rd. Again the focus is on quality, craftsmanship, and creativity, with Cyrus and his team making bespoke frames for all manner of artworks and objects. 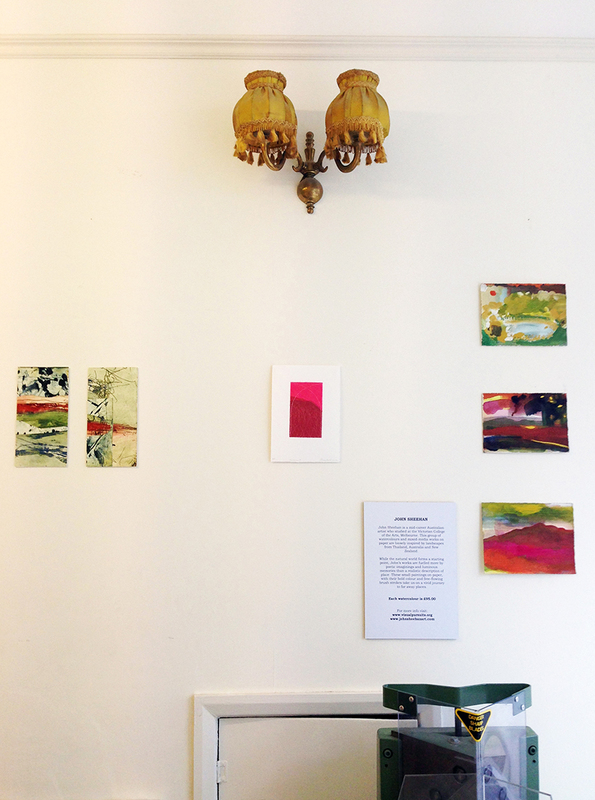 As a natural extension of Cyrus and Pascale’s interest in various forms of creative enterprise, The Framing Salon also provides a space for artists to exhibit and sell their works. Here I’ve had the opportunity to present some prints and drawings by Australian artists that I’ve worked with over the years. 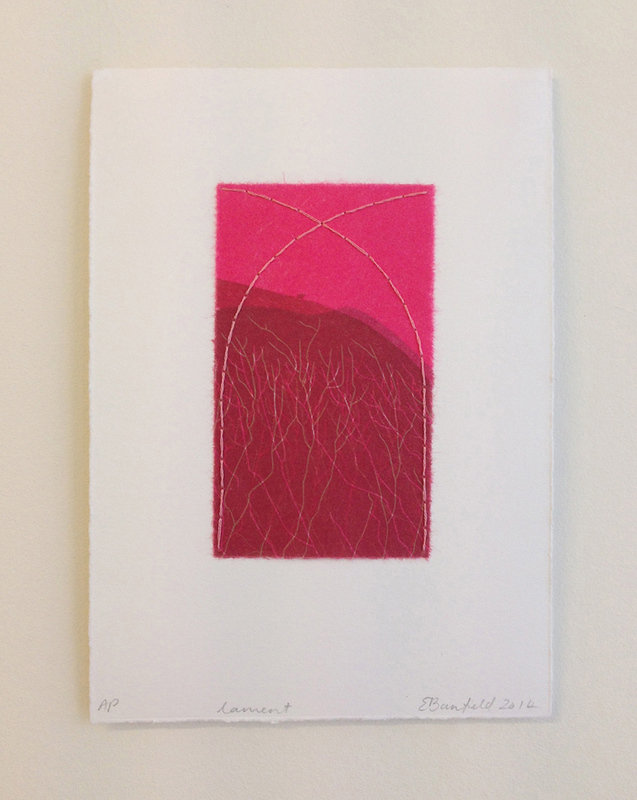 I’ve also collaborated with the Firestation Print Studio in Melbourne where I formerly worked as Curator, which has allowed me to showcase some of the depth and diversity of contemporary printmaking practice in Australia and beyond. 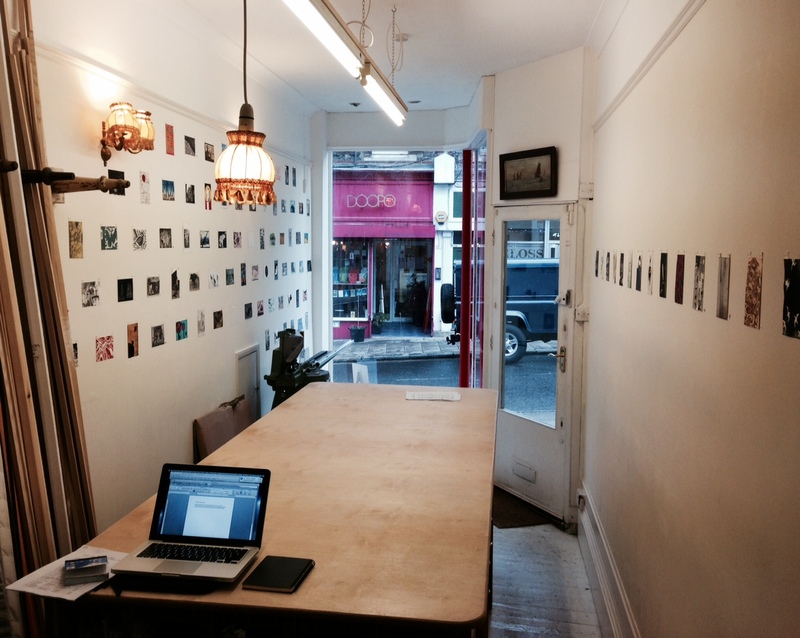 The Framing Salon interior, exhibiting Imprints of Place, prints from Firestation Print Studio, Australia and Cork Printmakers, Ireland, December 2014. An intimate space with some warm domestic flourishes (note the cute light shades!) 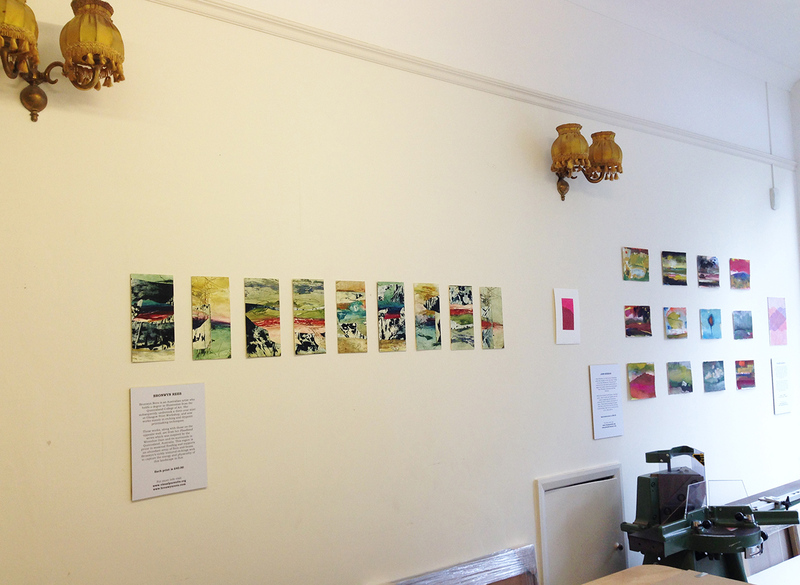 The Framing Salon has proved a lovely venue to exhibit small scale works on paper. As a working space it also makes a refreshing change from the ubiquitous white cube, and sets viewers at ease as they encounter the works on display. 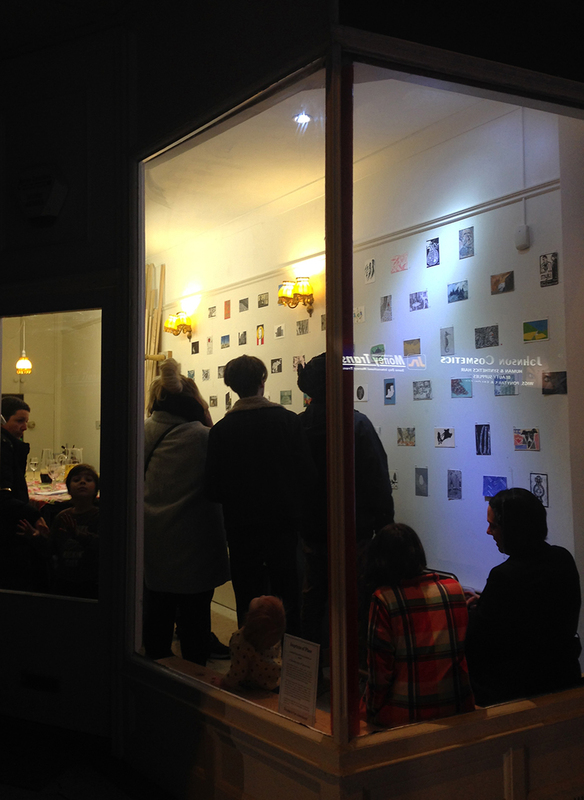 The opening night of Imprints of Place, December 2014. 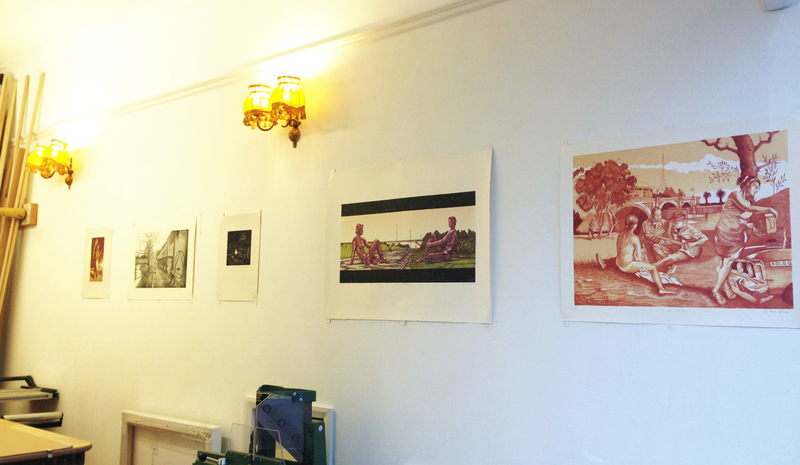 Lithographs and Etchings by Eolo Paul Bottaro, January 2015. Currently a selection of prints and watercolours by three Australian artists are on display: Bronywn Rees, Elizabeth Banfield and John Sheehan. 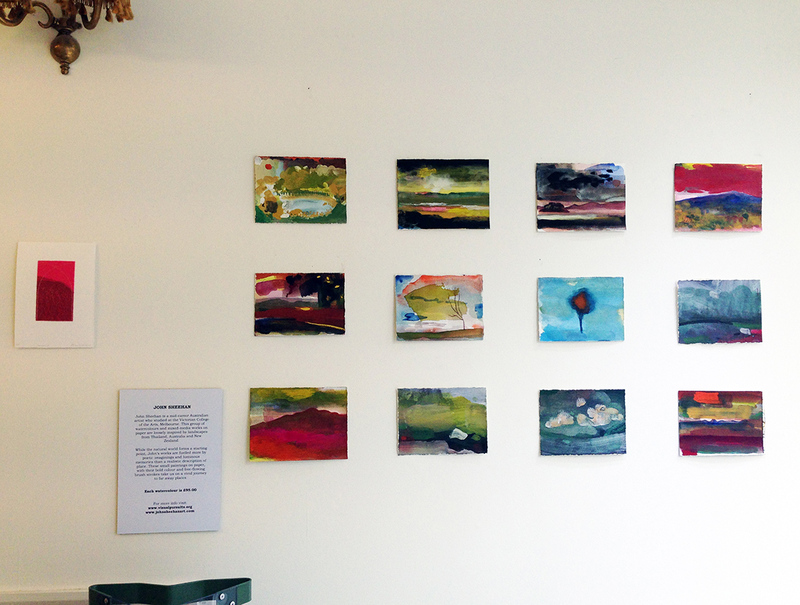 Their vibrant works have enlivened the space, and to me they seem to capture and amplify the clear colours of home. John Sheehan is a mid-career Australian artist who studied at the Victorian College of the Arts, Melbourne. 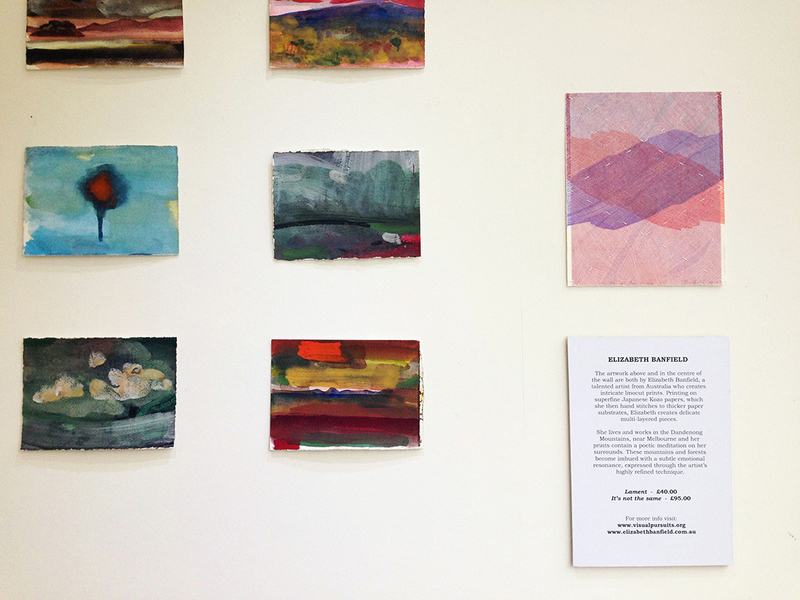 This group of watercolours and mixed-media works on paper are loosely inspired by landscapes from Thailand, Australia and New Zealand. 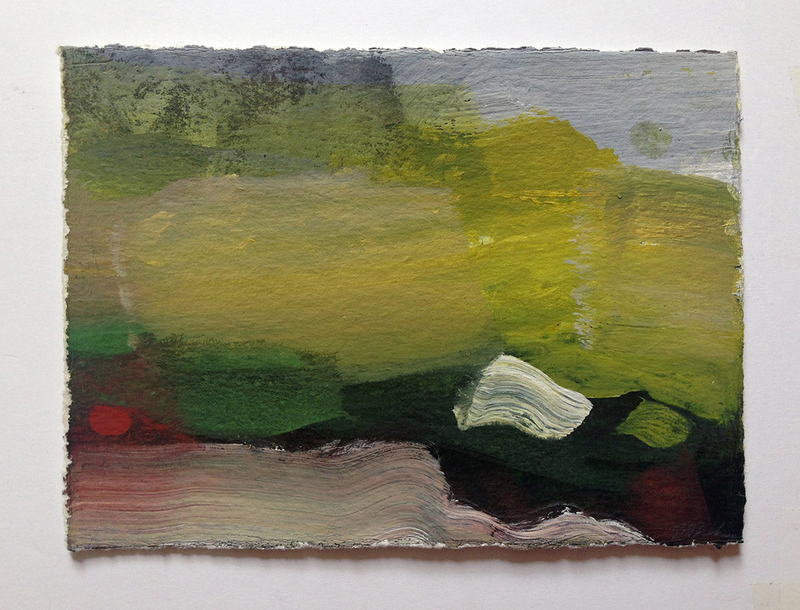 While the natural world forms a starting point, John’s works are fuelled more by poetic imaginings and luminous memories than a realistic description of place. 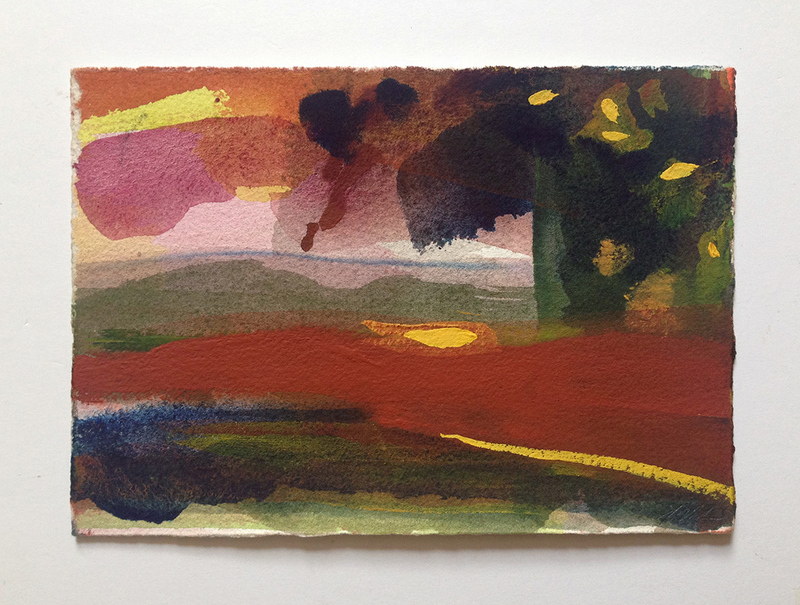 These small paintings on paper, with their bold colour and free-flowing brush strokes take us on a vivid journey to far away places. Bronwyn Rees is a Melbourne based artist who holds a degree in Illustration from the Queensland College of Art. 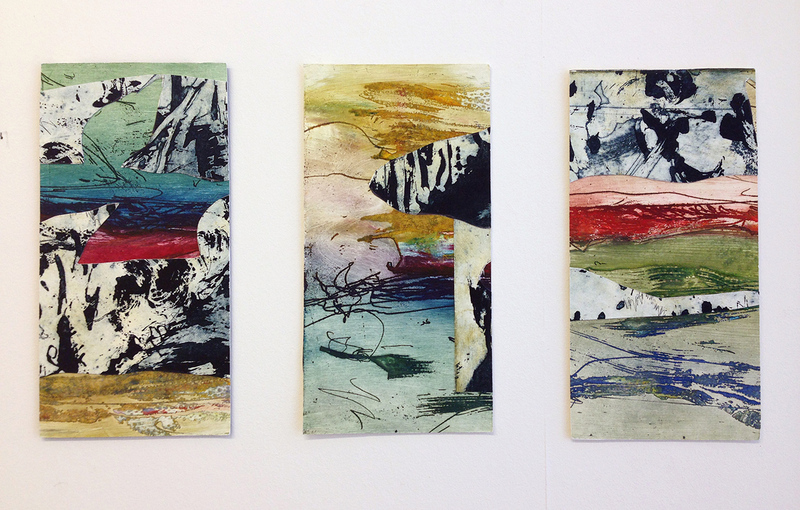 She subsequently undertook a three-year stint at Glasgow Print Workshop, and is currently Artist in Residence at the Firestation Print Studio. She works mainly in etching and drypoint printmaking techniques. 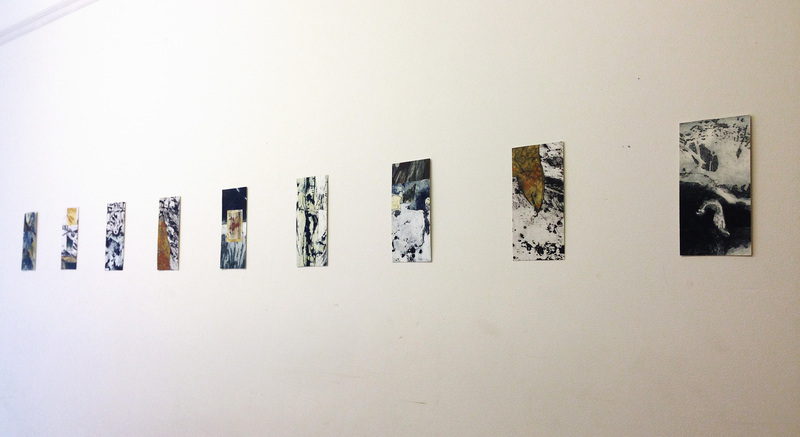 These works are all from her Floodland series which was inspired by the Wivenhoe Dam and its surrounds in Queensland, Australia. This region is prone to seasonal flooding and supports an abundant array of flora and fauna. Bronwyn’s richly textured etchings seek to capture the energy and physicality of this landscape in flux. Elizabeth Banfield is a talented artist from Australia who creates intricate linocut prints. Printing on superfine Japanese Kozo papers, which she then hand stitches to thicker paper substrates, Elizabeth creates delicate multi-layered pieces. She lives and works in the Dandenong Mountains, near Melbourne and her prints contain a poetic meditation on her surrounds. These mountains and forests become imbued with a subtle emotional resonance, expressed through the artist’s highly refined technique. Supporting designer-makers, artists and curators through providing an accessible space to exhibit and sell work helps build a healthy creative ecosystem from the ground up. Thus businesses like Stag & Bow and The Framing Salon, though modest in scale, should not be underestimated for what they contribute to the both the local community and a broader creative sphere. A little heart and soul goes a long way. 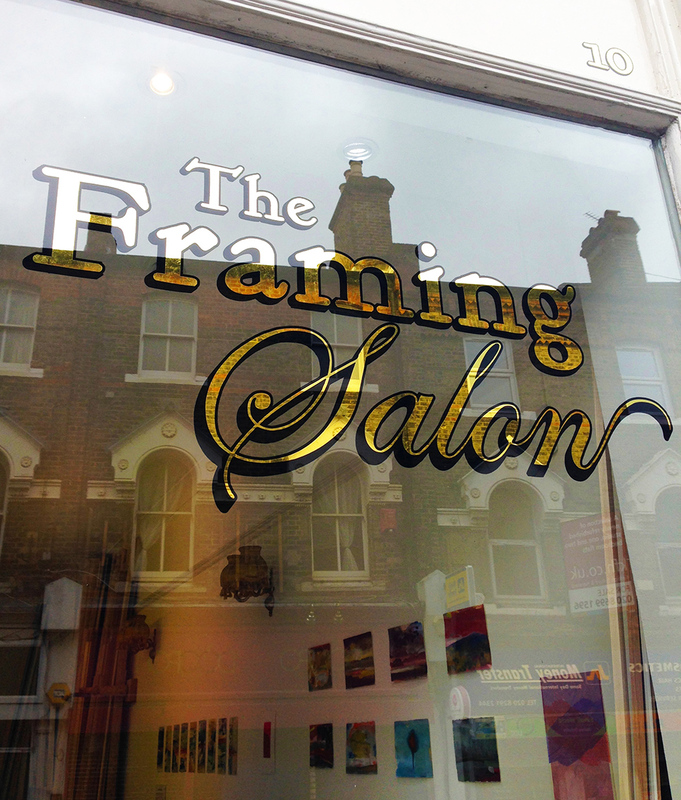 The Framing Salon, 10 Dartmouth Rd, Forest Hill SE23 3XU, London. Tags: art, Australia, Bronwyn Rees, colour, design, Elizabeth Banfield, eolo paul bottaro, etching, Firestation Print Studio, Holly Coleman, John Sheehan, Linocut, London, Love, Marguerite Brown, printmaking, Stag & Bow, Textiles, The Framing Salon. Bookmark the permalink.